The South Asian diaspora in the United States is a fascinating mix of cultures, languages, and religions. A beautiful moment when everyone comes together is in the fall for Diwali. Fans of The Office may immediately recall an episode from 2006 where Kelly Kapoor invites everyone to a Diwali celebration and Michael Scott mistakenly believes the holiday is the Indian version of Halloween. The episode was the first American comedy series to depict the holiday, but it barely scratched the surface of the significance of the festival. 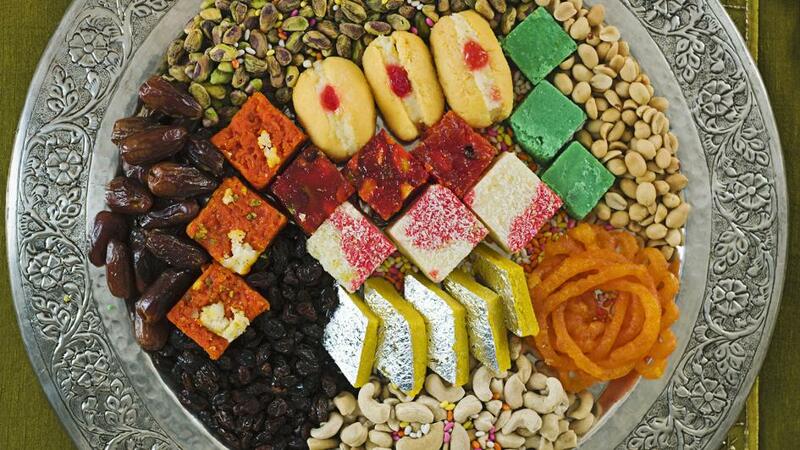 Diwali is a five-day festival that coincides with the Hindu New Year. It is also celebrated by Jains and Sikhs, but for different historical events. For all three religious groups the festival celebrates new beginnings, the triumph of good over evil, light over darkness, and knowledge over ignorance. Diwali gets its name from the Sanskrit term dipavali, meaning “row of lights,” as small earthenware lamps – or diyas – are filled with oil and lit as part of the celebrations. 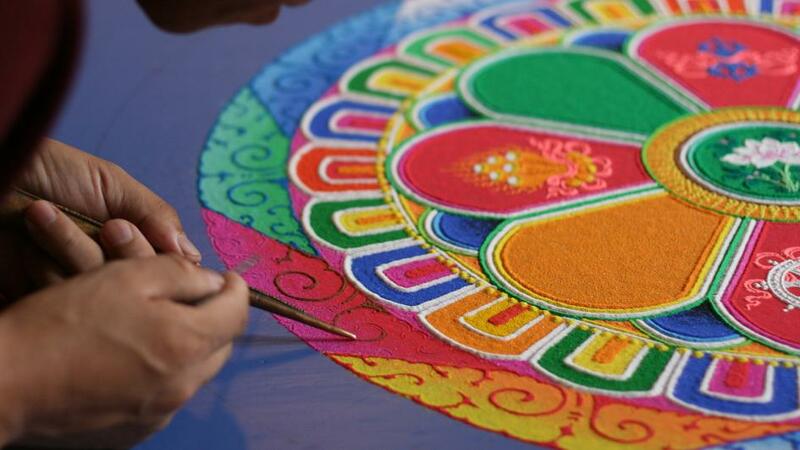 Besides lamps, another common decoration is rangoli. They are beautiful patterns created on the floor, usually by women, using materials such as colored rice, dry flour, colored sand, or flower petals. 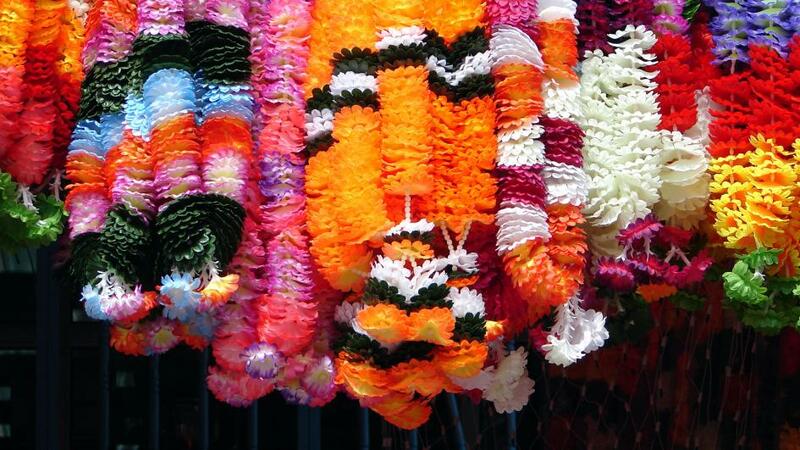 Other decorations may include garlands made from marigolds or the use of mango leaves. Specific activities are performed on certain days, but generally the festival is a time for visiting, exchanging gifts, cleaning and decorating houses, eating sweets, setting off fireworks displays, and wearing new clothes. Gambling is also encouraged during this season as a way of ensuring good luck for the coming year. Hindus interpret the Diwali story based upon where they live. In northern India the festival celebrates the return of Lord Rama, his wife Sita, his favorite half-brother Lakshmana, and his monkey devotee Hanuman to the city of Ayodhya, where Rama’s rule of righteousness would commence. Southern India celebrates it as the day that Lord Krishna defeated the demon Narakasura. In western India the festival marks the day that Lord Vishnu sent the demon King Bali to rule the nether world. Many Hindus use this time to invite the presence of Lakshmi, the goddess of wealth, into their homes so they can be blessed with prosperity. In other parts of South Asia, such as Bengal, worshippers ask Kali, the goddess of time, creation, destruction, and power, to destroy the evil that hinders spiritual progress and material prosperity. For the Jain community, Diwali is celebrated primarily in observance of Mahavira Nirvana Divas, or the passing into final nirvana for Mahavira. Lighted lamps represent the light of holy knowledge that was extinguished with his physical death. Diwali is celebrated in Sikhism as Bandi Chhor Divas. Their festival commemorates the time Guru Hargobind Singh was freed from Mughal Emperor Jahangir’s prison and returned to the Golden temple in Amritsar. Residents of of the city are said to have lighted lamps throughout the city to celebrate the occasion. So as South Asians around the world are gearing up for a celebration full of love, colors, and light, we too should take this opportunity to honor the spark of hope that’s needed during times of despair. Diwali is also a beautiful reminder that we live in a world that continues to commemorate triumph over evil, and that art and design have a significant role in how holidays are celebrated.